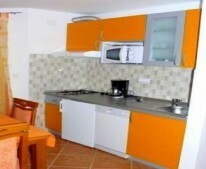 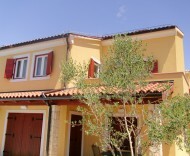 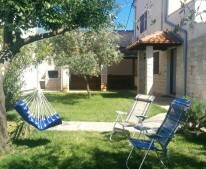 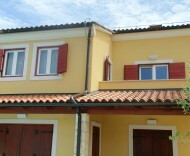 Apartment Oliva is located in a new holiday village Volme, as part of a small village Banjole, near Pula. 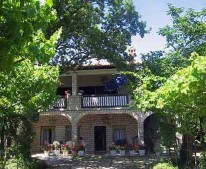 It belongs to the municipality of Medulin. 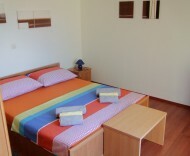 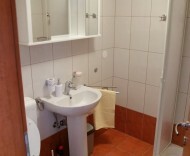 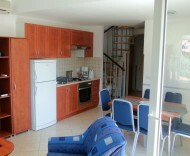 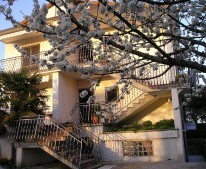 The apartment is well equipped, with a large balcony, kitchen, satellite TV and shared pool. 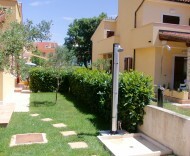 Parking is provided next to the apartment and is free of charge. 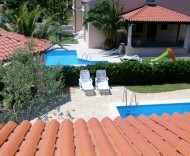 Directly next to the pool are two barbecues on the use of our guests. 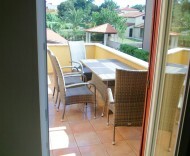 Nearby there are numerous bike paths and walkways, hidden coves and rocky beaches. 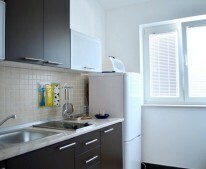 There is a possibility to do various leisure activities, such as scuba diving, horseback riding, jumping from a parachute, tennis, golf, football, mountain biking and sailing. 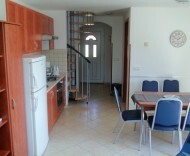 Lovers of healthy and delicious food can find good restaurants with fish specialties. 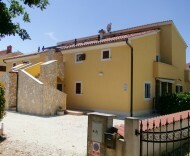 In Medulin and Banjole is possible to go on organized trips and Pula is only a few kilometers from the apartment with all its potentials.